The daily club life is arranged by the daily board and supported by active members. We have our armorer, competitions secretary, activity committee and advisory committee. Our goal together is to make sure everyone has a good time while also learning how to fence. The board 2018-2019. 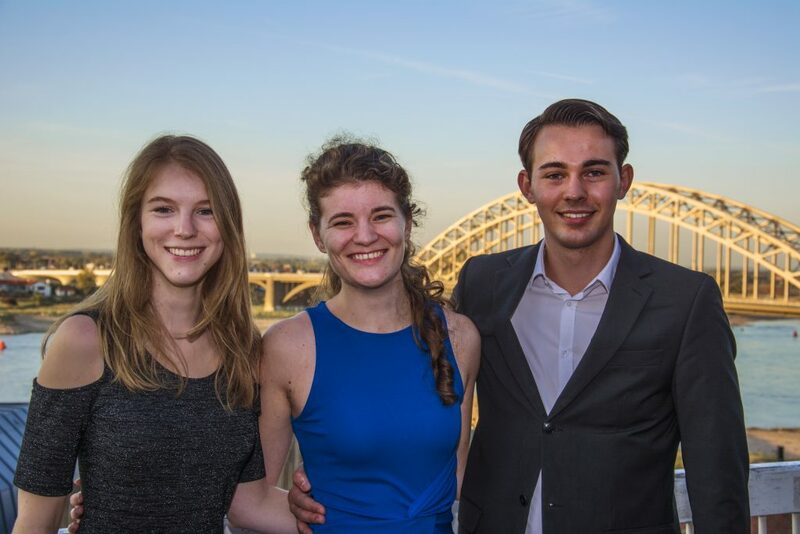 From left to right: secretary Kristin, chairman Nienke, and treasurer Mark. Photo by Nils van Rooijen. This season, I’m the lucky one to become chairman of Don Quichote. I’m quite the Lord of the Rings-fan and wanted to know what all that sword fighting was like. Little did I know.. I entered the A course in May 2017, and I right away noticed sabre was my weapon of choice. I might have been a bit prejudiced, though, since Danny handed me a sabre and said ‘this is the nicest weapon’. I started to fence for real in September 2017 and became part of the activity committee. 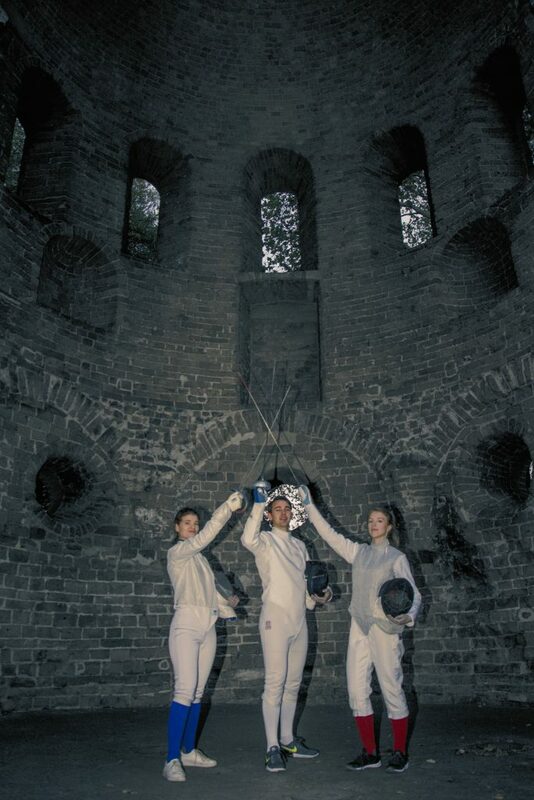 My main goal in fencing is to have a good time on- and off-piste, but I am a little bit competitive as well: within a year after my A course I got the opportunity to fence at the NK Equipe (Dutch team nationals), which was amazing and made me even more excited about fencing. Said by someone who always hated any type of sports. In the Academic year 17-18 I wanted to try a new sport and that is when I looked through the Radboud Sport Centre courses. Of all courses I chose fencing, since it is a sport you are not often able to try and it looked cool on videos of the Olympics. When I started fencing I did feel a bit like a pincushion, but in contrast to what you might think fencing is a sport which you can pick up very quickly. What I enjoy the most in fencing at Don Quichote is that you can train at all possible levels and as intensive as you want, and maybe the best part, after an exhausting training you have some beers at the sport café with the club. Hey everyone! I am Krissi and this academic year I will be the secretary of Don Quichote. When I saw Olympic fencing on TV I thought ‘I need to try this sport one time’. Years later, I finally got the chance to do so in an A course at the Radboud Sports Centre. It turned out that fencing is not only fun to watch but also to do it yourself. If I am not at the Sportcentre, you will probably find me in the Spinoza building, studying and secretly craving pepperoni chips. All three weapons in the board! Photo by Nils van Rooijen.